A beautiful, historic suburb just 40 miles northwest of Chicago, Barrington’s 10,168 residents pride themselves on the Village’s hometown charm and small-town heritage. The Village of Barrington serves as the hub of activity for the 90-square-mile Barrington area, which consists of 7 independent villages and more than 43,000 residents. Villages include Barrington, Barrington Hills, Deer Park, Inverness, Lake Barrington, North Barrington, South Barrington and Tower Lakes. The Metra train stops right in the Village Center, easily connecting Barrington to the city of Chicago. Some prospective Barrington home buyers may want to look in or near the historic district. There are popular late-19th century architectural styles to be found there like Victorian Gothic and Queen Anne. Condominiums and single-family homes are also available, as well as luxurious million-dollar estates. Settlers of European ancestry began to live in the area following the treaty ending the Black Hawk War, signed in 1833. Initial settlers came from Steuben County, New York in 1834. Soon thereafter, other settlers arrived from Vermont, upper New York State, and Berkshire County, Massachusetts. In fact, the name Barrington came from a place in Berkshire County called Great Barrington. In the mid-19th century, the area's growth was mainly attributed to the rich farmland, ample water supply, and the arrival of the railroads. The village was incorporated in 1865. At the time, its population was about 300. In the 20th century, Barrington's heritage of the large estates passed from generation to generation insulated it from the more densely packed residential developments that came to surround it in the 50s and 60s. Among the many facilities maintained by the Barrington Park District is "Aqualusion," a waterpark that includes a lap pool, diving area, and zero depth pool. Residents owning Barrington homes can enjoy the expansive surroundings at Cuba Marsh Forest Preserve, a 782-acre wetlands area that features three miles of crushed gravel trail. The village is home to just one golf course, but it's spectacular! The Mackray Memorial Golf Club is an 18-hole championship layout measuring over 7,000 yards from the back tees. There is much to do in Barrington. 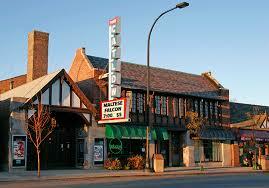 You can visit our Historical Society, library, parks, and the historic Catlow Theatre, founded in 1927. You can stroll our Village Center, which is surrounded by the largest residential historic district in the state of Illinois, while stopping to eat at our fine restaurants or shop in our quaint stores. You can also attend a wide variety of family-oriented events throughout the year, from a week-long Fourth of July Festival to weekly Farmers’ Markets and Cruise Nights. The Icehouse Mall today hoses a variety of local specialty shops and eclectic boutiques. It was first built in 1904 as an icehouse for the Bowman Dairy. Every September, a local hospital hosts "Art in the Barn," a juried art show that also includes the sale of fine art. Since its founding in 1974, the show has expanded to the point that there are over 6,000 visitors; live entertainment and pony rides are even provided for the kids. The event raises funds for Good Shepherd Hospital, and to-date more than $2.5 million has been raised. Click here for more information on the beautiful areas in Barrington. If the Midwest charms of Barrington have you planning a move, get in touch with Ryan and Company Realtors, 847-526-0300. They are experienced pros in Cook and Lake Counties, and can help you sort through some fascinating options and great homes in Barrington! Experience you need, reputation you Trust and Results you can count on!